Writer's Café is a restaurant run by the burn survivors, it is a place which empowers the survivors by training them in specific skills and creating employment opportunities. Writer's Cafe where one can enjoy the calm interior, books and good service. In December 2016, when newspapers were reporting on the post-cyclone (Vardah) rehabilitation measures being undertaken by NGOs, an advertisement in the remote corner of daily newspapers fuelled the city’s faith in humanity; a subtle, yet strong message announcing the inauguration of Writer’s Café, run by burn survivors. At first, there was much hullabaloo around the never-heard-before concept in the city. The man behind it was restaurateur M Mahadevan, CMD of Oriental Cuisines, also called ‘Hot Breads’ Mahadevan. “On one hand I was moved by the stories of victims of burn incidents and wanted to find a means to empower them. On the other, I wanted the young generation to rediscover the love of reading books,” says the 62-year-old. Writer’s Café is his third venture on the social front, with the first two being Freedom Bakery (a social enterprise in Puzhal prison that trains prisoners in artisan baking) and Winners Bakery, which empowers the underprivileged by training them in specific skills and creating employment opportunities. 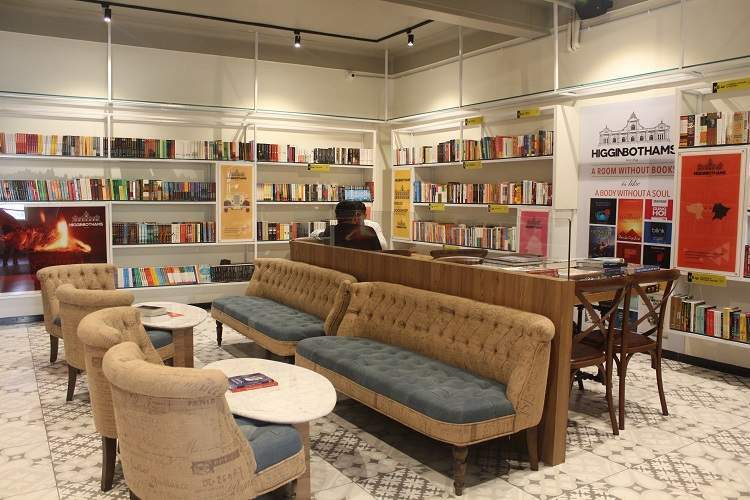 Seven employees at the non-profit Writer’s Café—started with an investment of `1.8 crore—are burn victims, who have come on board through Mahadevan’s partnership with Prevention International Foundation for Crime Prevention and Victim Care. Proceeds from the business go to the Foundation. Each employee underwent a four-month training at Winners Bakery. Operating a venture comes with its own challenges. Mahadevan, who has been in the business of hospitality and catering for over 30 years, says, “We cannot treat them as regular employees. They come with a lot of baggage.” When visitors request to talk to the burn victims, Mahadevan suggests they take a tour of the kitchen instead. “People think I am shielding them, but I’m not. These are sensitive issues and some of them may want to put it behind them instead of sharing them with people,” he says. The entrepreneur also counsels his employees to refuse to talk about it if they find the conversation uncomfortable. The second challenge the entrepreneur faces is taking stock of their personal lives while creating employment opportunities for them. “One of our employees has two children, and she can’t leave them and come to work. We’ve identified a créche where her children are taken care of, and we take up the monthly fee into our expenses,” says Mahadevan, who is planning to launch the second branch of Writer’s Café with 3,000 books and 18,000 titles in collaboration with another NGO.